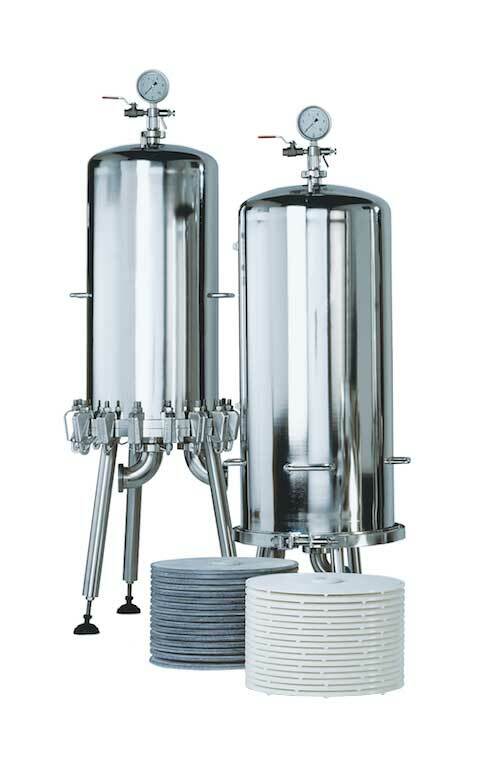 Eaton’s BECO INTEGRA® DISC 12″ system is an enclosed depth filtration system for clarification and sterile filtration of liquids in beer, wine, fruit juice, fine chemicals and pharmaceutical industries. 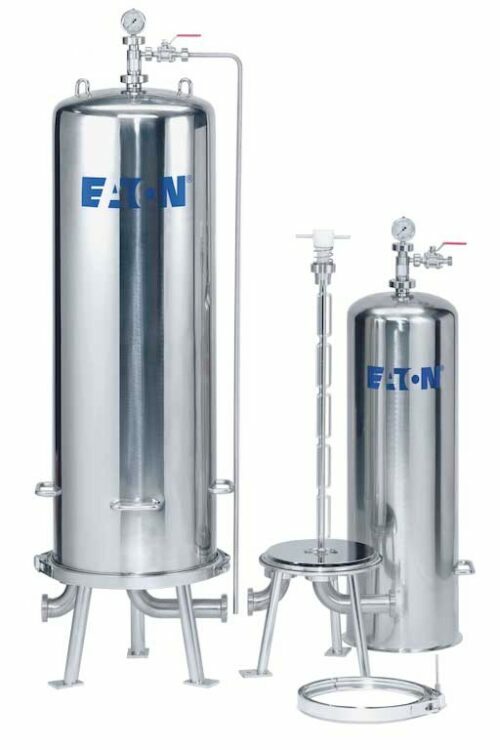 Eaton’s BECO INTEGRA® DISC system is an enclosed depth filtration system for clarification and sterile filtration of liquids. 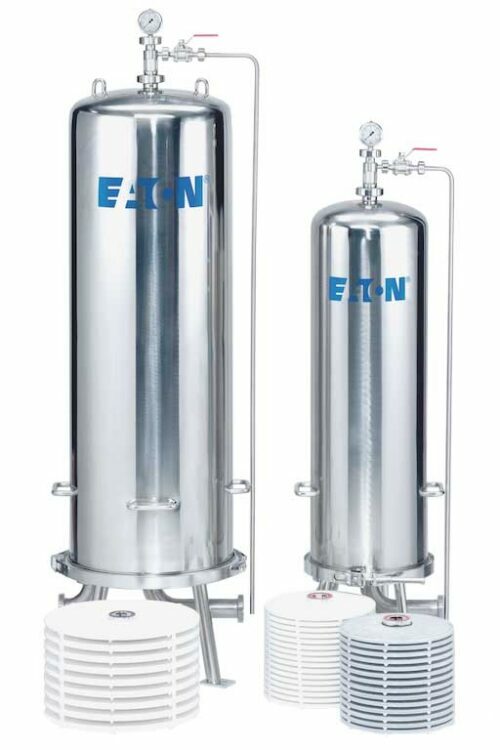 Eaton’s stacked disc cartridge filtration system for filtration tasks in the beer, wine, juice, fine chemicals, pharmaceutical and biotech industries. Eaton’s stacked disc cartridge housings are enclosed filter housing consisting of a bottom part with 3 feet and a detachable housing dome. The bottom part with inlet and outlet piece contains the centering and mounting unit for the stacked disc cartridge with a flat adapter or double O-ring adapter. 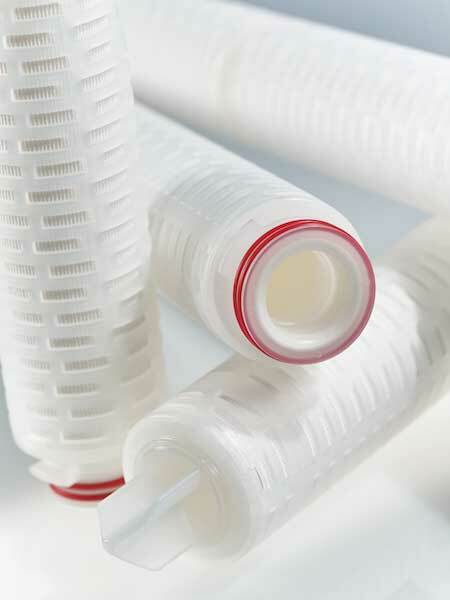 The individual cartridge cells are made up using BECO depth filter sheets and the outer edge of two of these depth filters, whose outlet side is in contact with a drainage plate, is coated with polypropylene and sealed. Depending on the cartridge type, a different number of stacked filter cells forms a cartridge unit, which is safely held together by the three-part segmented sleeve made from stainless steel. Sealing between the filter cells is via accurately fitting intermediate profile rings. When installed, the segmented sleeve made from stainless steel ensures excellent mechanical sealing of the module. 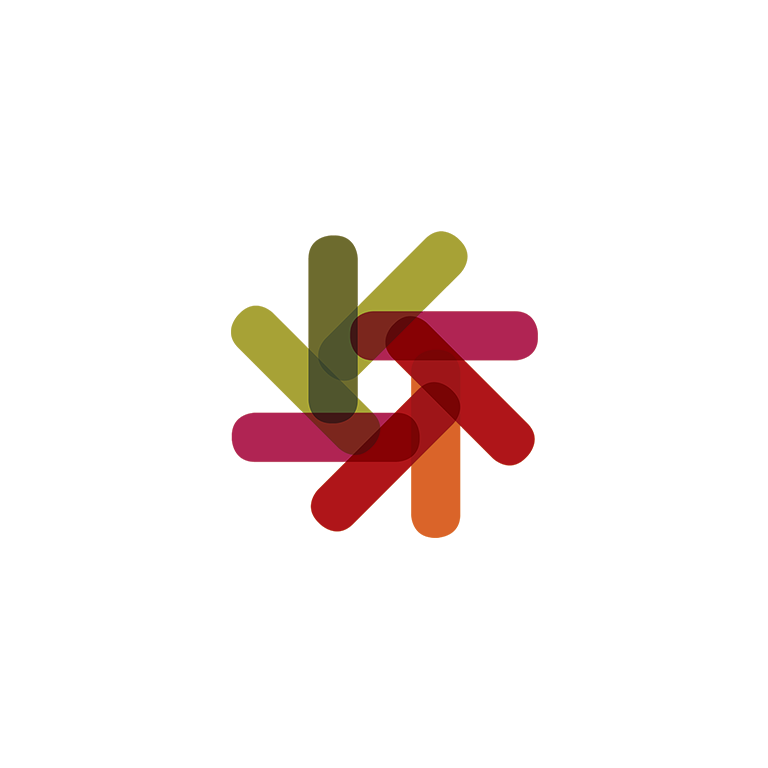 The occurrence of bypass effects is therefore eliminated. Eaton’s BECO MEMBRAN PS Beer membrane filter cartridges are designed specifically for beer filtration. BECOPAD is a new mineral free (no D.E. 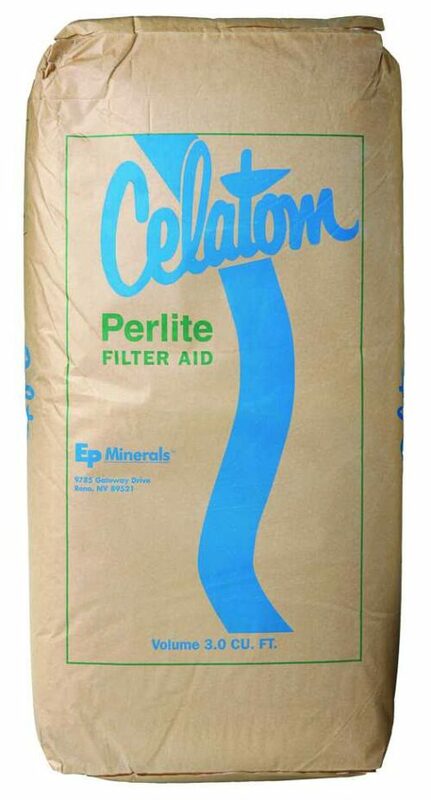 or perlite) depth filtration media containing only purified cellulose fiber. BECOPADs are characterized by their unparalleled purity when compared with conventional filter sheets. With very low extractable ions, the pads will not impart any undesirable taste in your product. 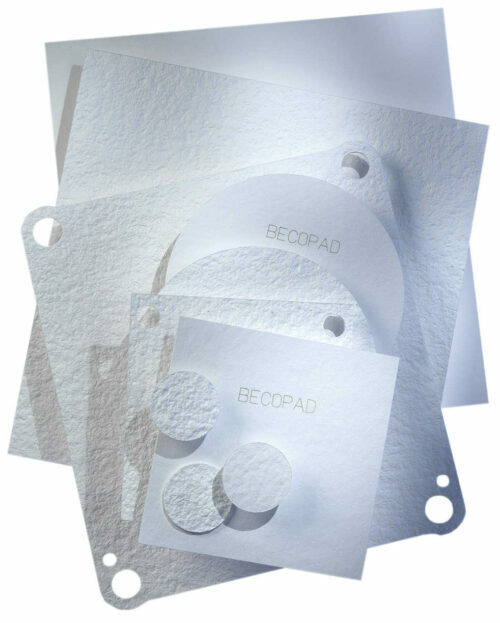 BECOPAD depth filter sheets were developed to meet demanding liquid filtration requirements. The product range covers retention grades between 5.0 and 0.1 microns. With 13 individual sheet grades we can provide a specific sheet to meet all filtration applications. Finely fibrillated charged cellulose fibers form the matrix of the BECOPAD depth filter sheet. Diatomaceous earth (DE), is a filtration media composed of microscopic diatoms silica structures millions of years old. DE is used in the beer industry as an extremely effective economical filtration media to facilitate liquid-solid separating. DE’s uniquely strong cylindrical shape, high pore volume and low resistance to flow make it the go-to filter medium. 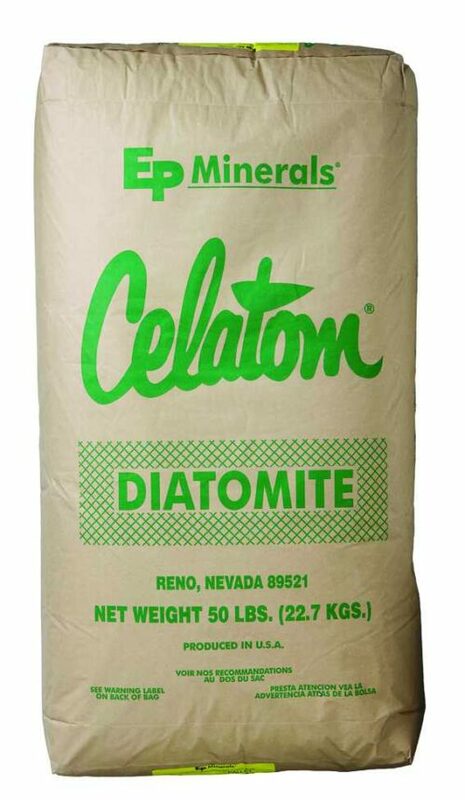 Diatomite has been used as a filter aid for nearly a century. The ore is a soft, friable siliceous mineral composed of the skeletal remains of microscopic plants deposited on the bottoms of oceans and lakes during the Miocene age. Diatomaceous earth is amorphous silica with varying particle shapes and has the ability to form highly permeable, but rigid and incompressible filter cakes, which translates into efficient and economical filtrations. Application: Two-step operation; first added as a protective layer (pre-coat), and then to maintain porosity (body-feed in pressure filters). 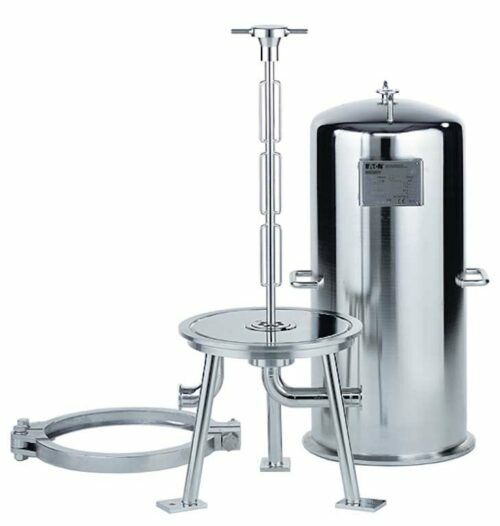 Chemically inert complex filter aids which are used in the formation of precoats for continuous dosing filtrations. Fiber Floc is specifically formulated to contain highly purified alpha cellulose and cotton fibers (zeta-potential) in addition to perlite. 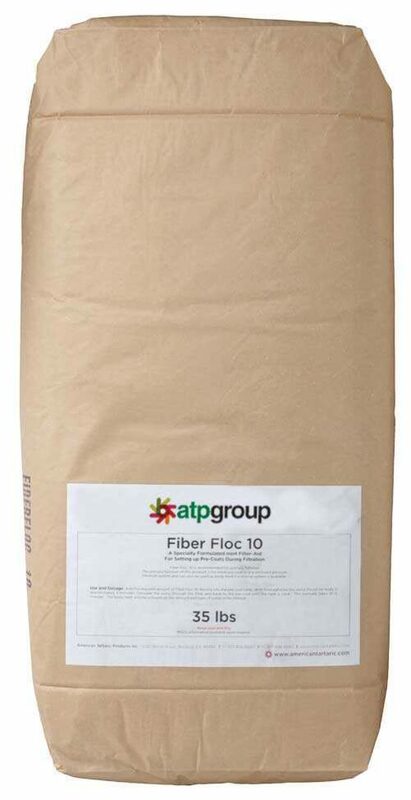 Fiber Floc 10 is recommended for primary filtration and Fiber Floc 30 is recommended for polish filtration. Application: Usually added as the initial pre-coat then followed by either DE or Perlite. Perlite is a lightweight expanded bubble structures from volcanic glass that are milled and classified into powders that are used in both pressure and vacuum filtration equipment. 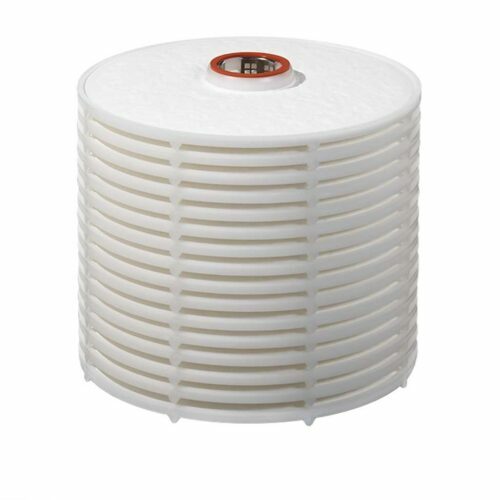 Perlite filter aids are inert and will impart no taste or odor into wine, and are virtually insoluble in mineral and organic acids at all temperatures. Various grades are available, so please contact an ATP rep about your particular need. Perlite is the generic name for a naturally occurring siliceous volcanic rock. Perlite is an amorphous material, without crystalline particles, i.e. does not require a carcinogenic label. Designed for use in any diatomite or powder type filtration system, i.e. both pressure and vacuum filtration equipment. Particularly well suited for vacuum systems since it is resistant to pre-coat cracking. Results in Low Soluble Metal in the finished juice/wine. Application: Usually added as a filtration aid during filtration or as a pre-coat at the start of the filtration cycle. Packaging: 25-35 lb. bag depending on grade.